Three rolls of genuine Jiffy Foam Wrap. Each roll is 1500mm wide x 200 Metres long, 1.5mm thick. 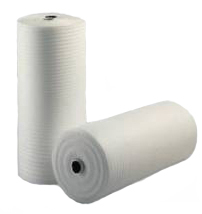 Perfect for foam protection on your items, and widely used in the construction industry as underlay for flooring.